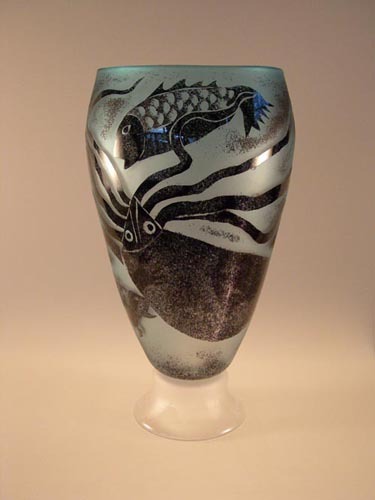 Steven Newell is an internationally renowned glass artist. His work has been featured in exhibitions and publications all over the world and been collected by museum such as the Victoria and Albert Museum in London and the Corning Museum in New York. Click here for Steven Newell's biography. 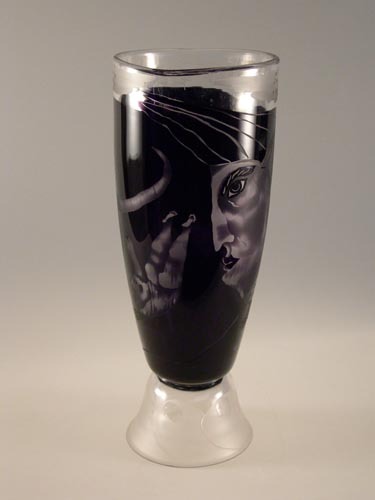 Steven's one-off pieces are highly detailed sandblasted and etched images on large-scale blown glass bowls and plates. The inspiration for these pieces comes from many sources. Frequently the work features figures and animals which are based on characters from stories such as those of the Greek ledgends or Japanese myths. 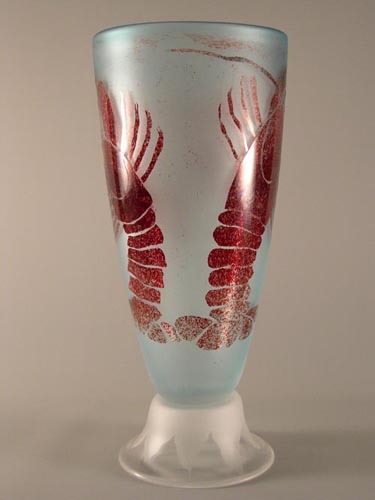 Each piece is a culmination of expert glass making skill and narrative beauty. Examples of these pieces can be found in the Victoria and Albert Museum (London) and the Shipley Art Gallery (Gateshead) as well as many private collections. Click here to view larger images.